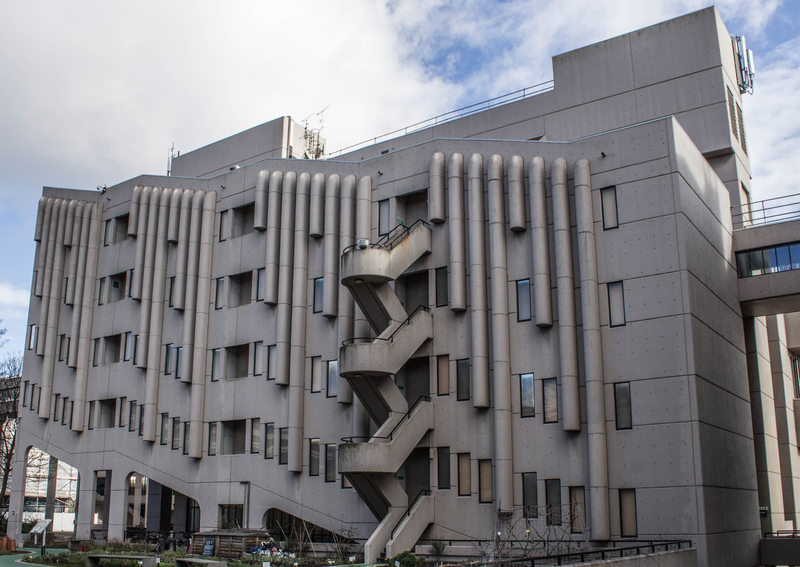 This unique building was designed by Barbican architects Chamberlin, Powell and Bon as part of their Leeds University campus master plan. 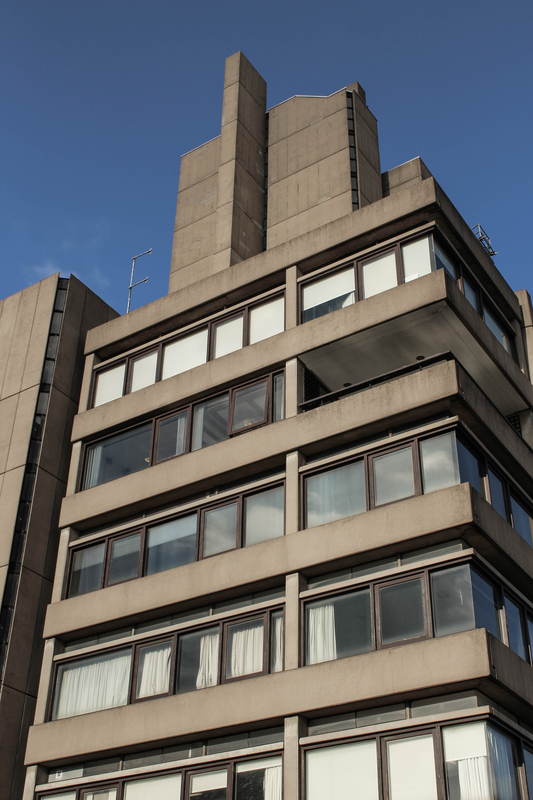 Rightfully grade II* listed in 2010, the listing can be found here. 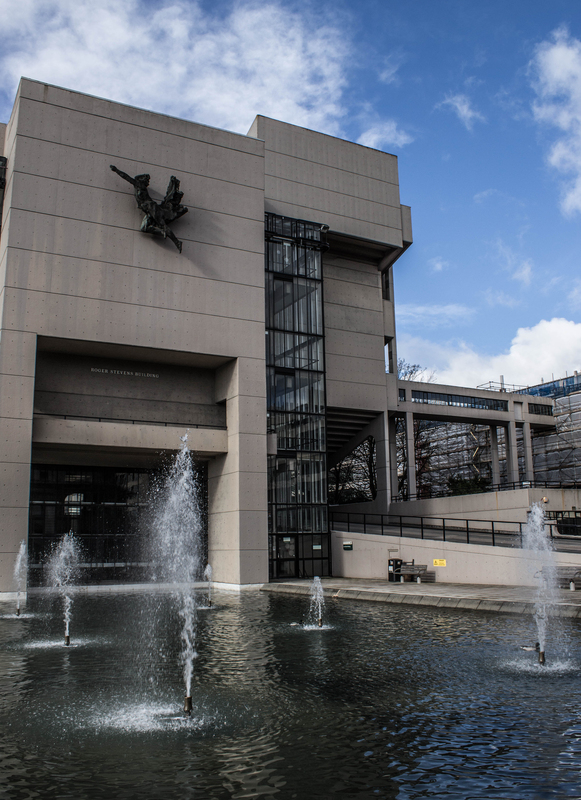 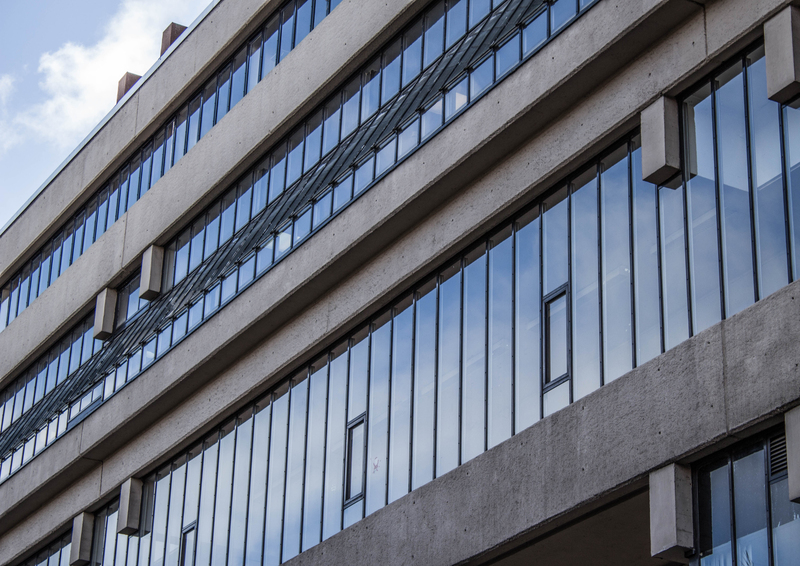 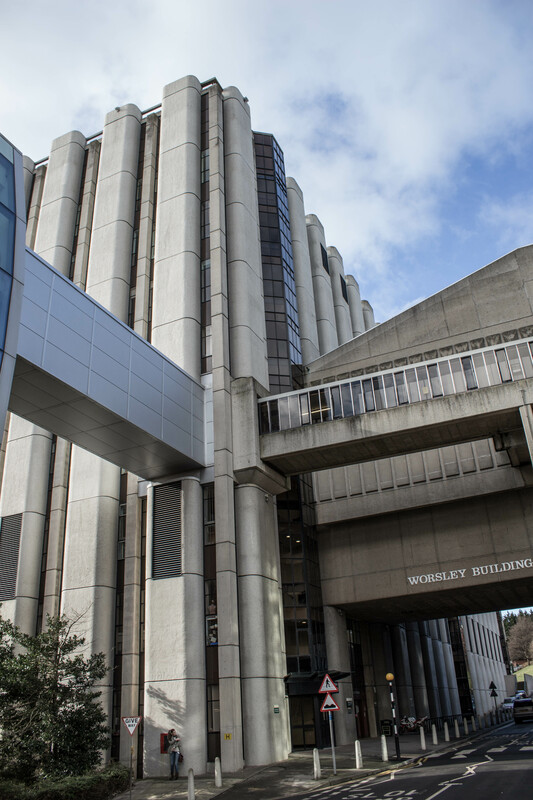 This entry was posted in Leeds and tagged Architecture, brutalism, brutalist, Chamberlin, concrete, CPB, Leeds, Powell and Bon, University on February 23, 2015 by Andrew Garford Moore. 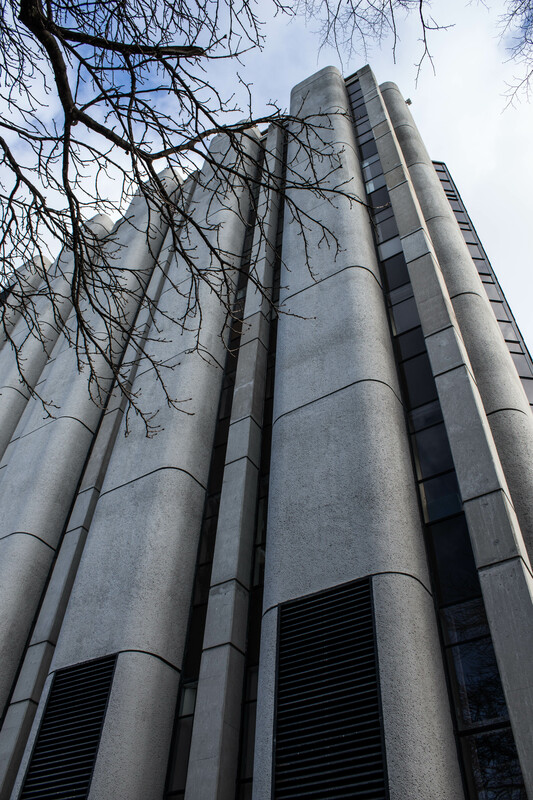 A very heavy and solid looking building, with vertical concrete strips interspersed with glazed sections. 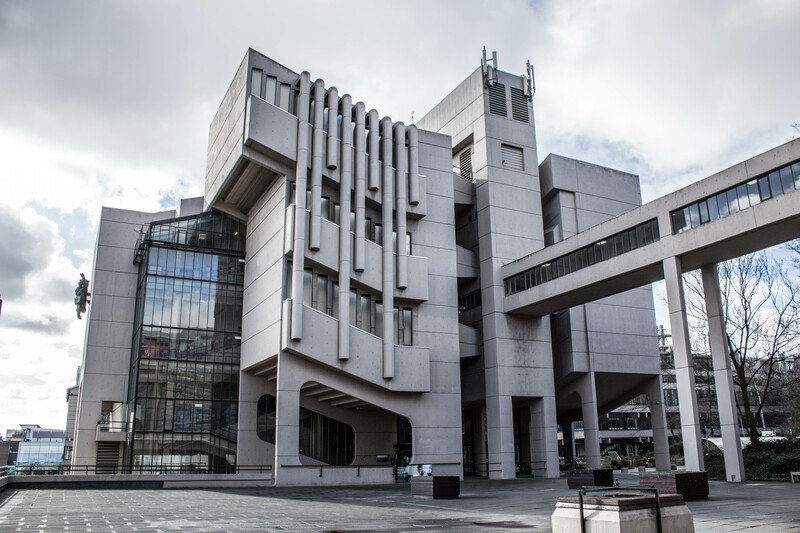 This entry was posted in Leeds and tagged Architecture, brutalism, brutalist, concrete, Leeds, University on February 23, 2015 by Andrew Garford Moore. 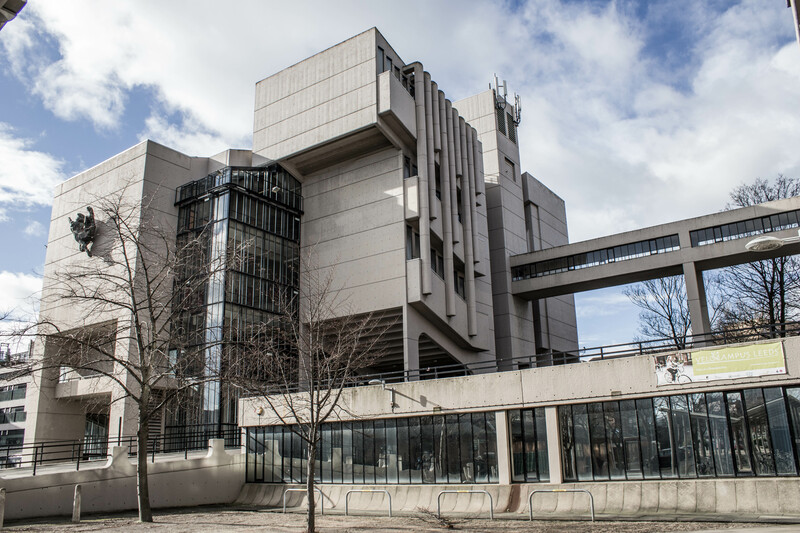 This entry was posted in Leeds and tagged Architecture, brutalism, brutalist, concrete, University on February 22, 2015 by Andrew Garford Moore. 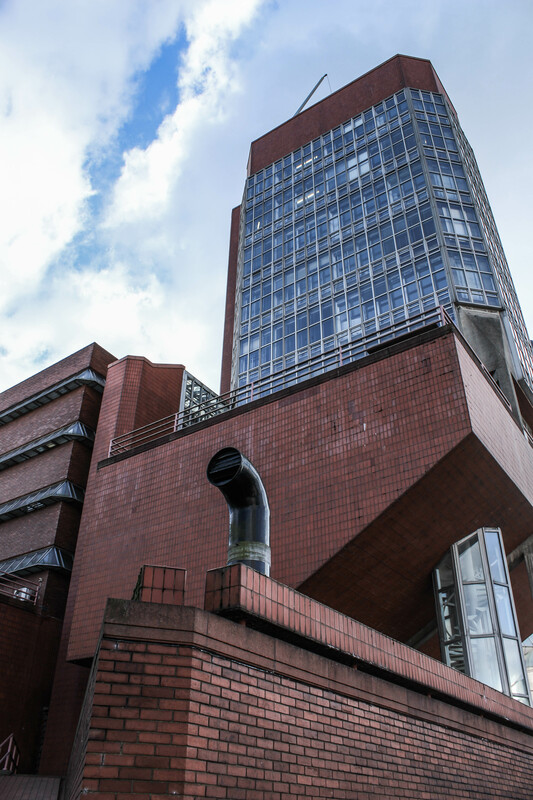 As you reach the top of Leicester University’s drive the Charles Wilson Building is the first thing that greets you. 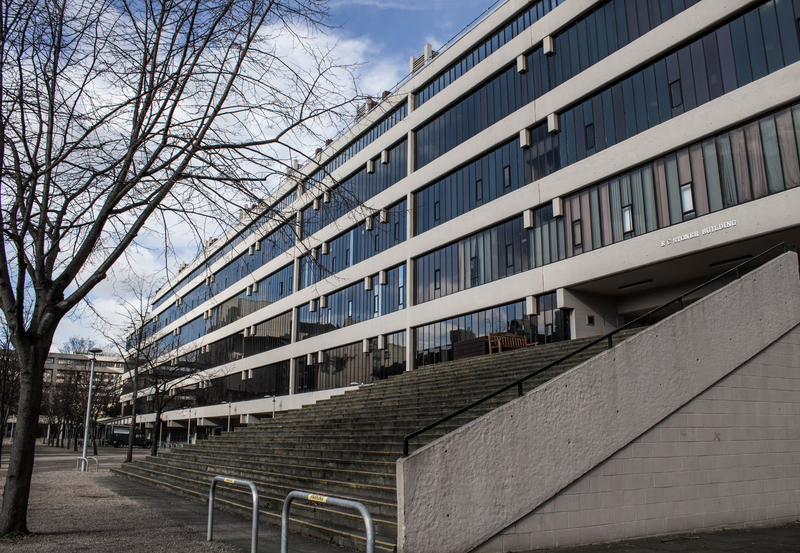 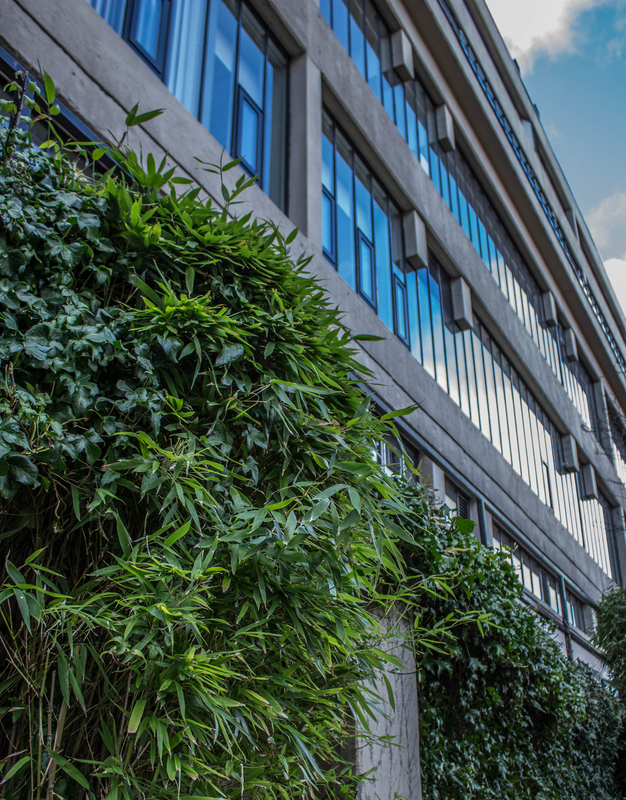 It’s a great feature building and a foretaste of some of the wonderful modernism to be found around the campus. 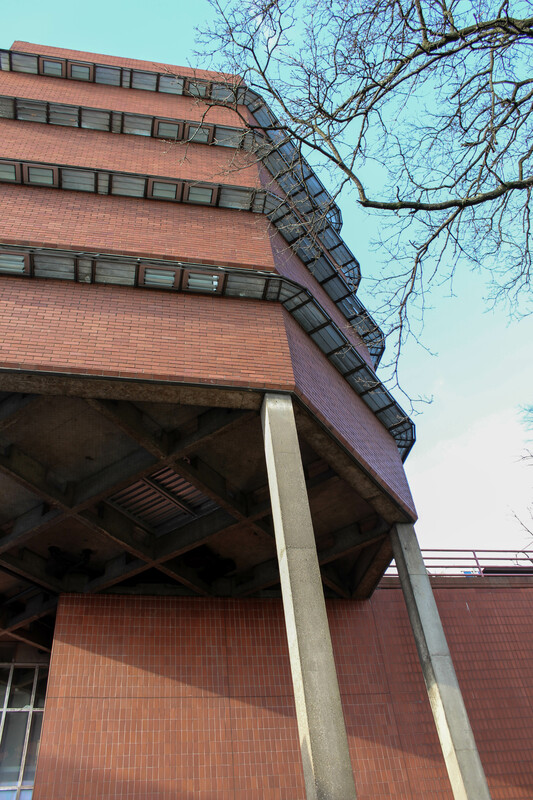 One of the many things to love about this structure is the fact that it looks like a happy robot. 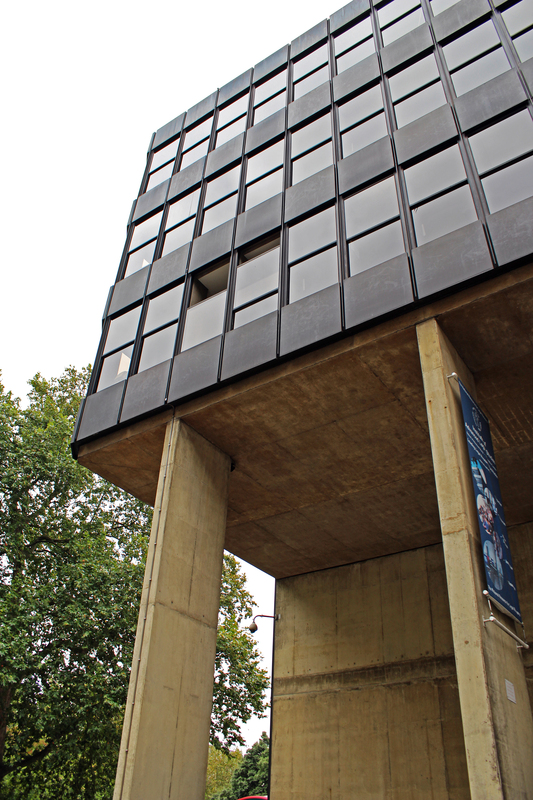 The bulk of the building is raised on thin stilts giving a shaded portico and allowing a fully glazed wall on the ground floor. 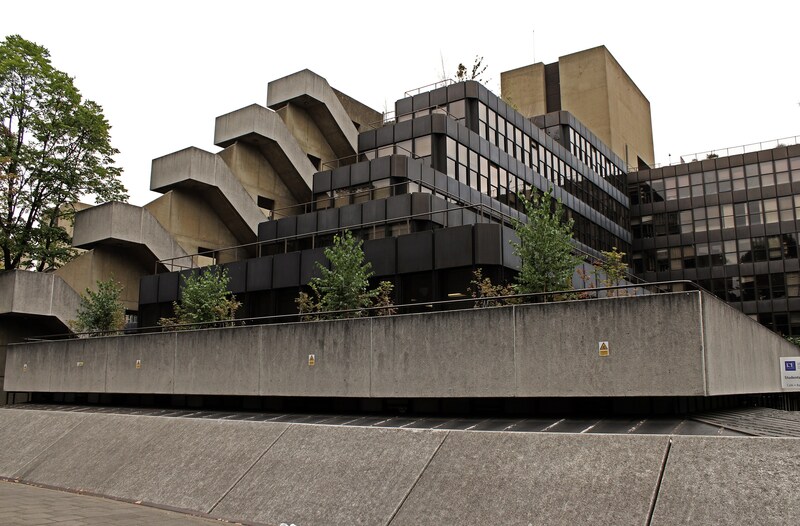 The horizontal is emphasised on the main body with thick concrete banding, but this is broken up on the front by the continuation of the stilts and on the sides by service towers with vertical strips of windows. 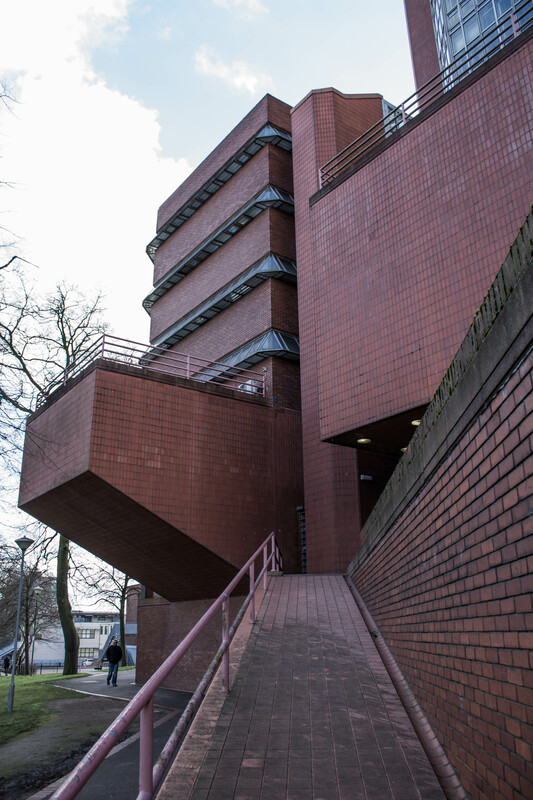 The ‘head’ features an interesting cluster of towers and a heavy looking external staircase. 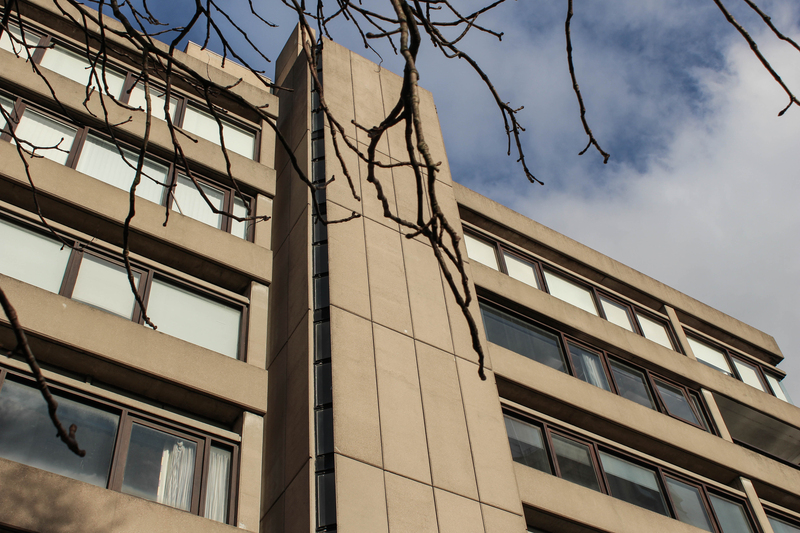 The concrete is a warm sandy colour, which blends well with the yellow bricks that are used sparingly on the ground floor. 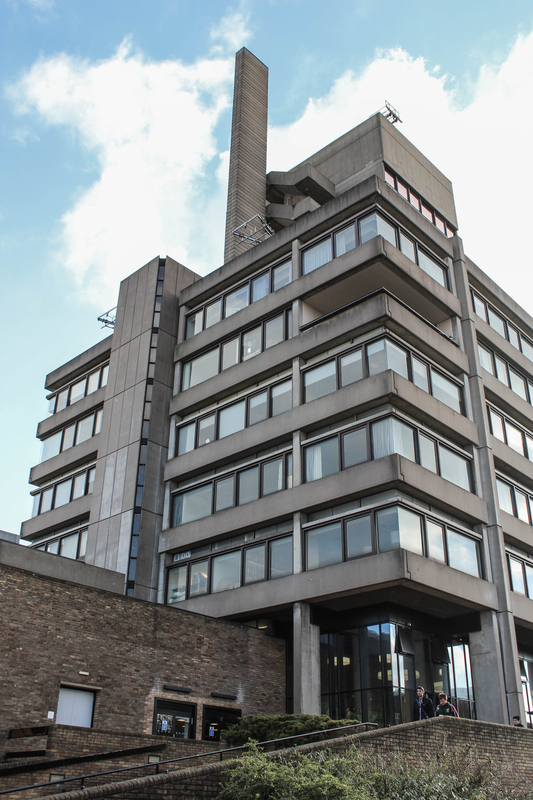 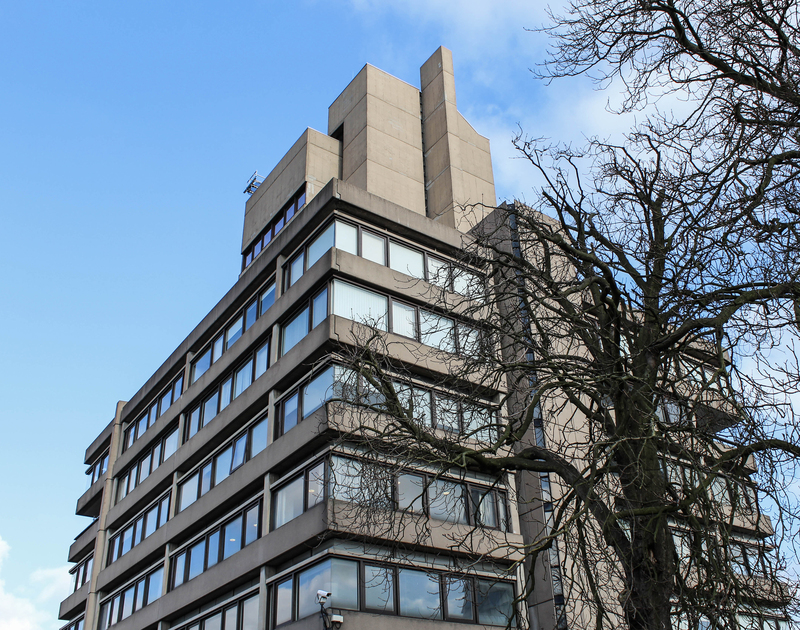 This entry was posted in Leicester and tagged Architecture, brutalism, brutalist, concrete, Denys Lasdun, Leicester, University on February 8, 2015 by Andrew Garford Moore. 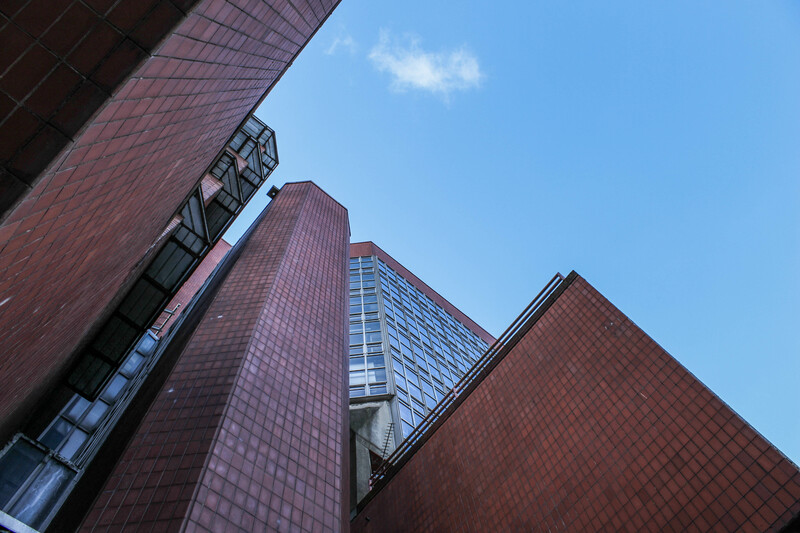 Unusually for a building featured on this site, the exterior of Stirling and Gowan’s construction is primarily covered in red brick and tile. 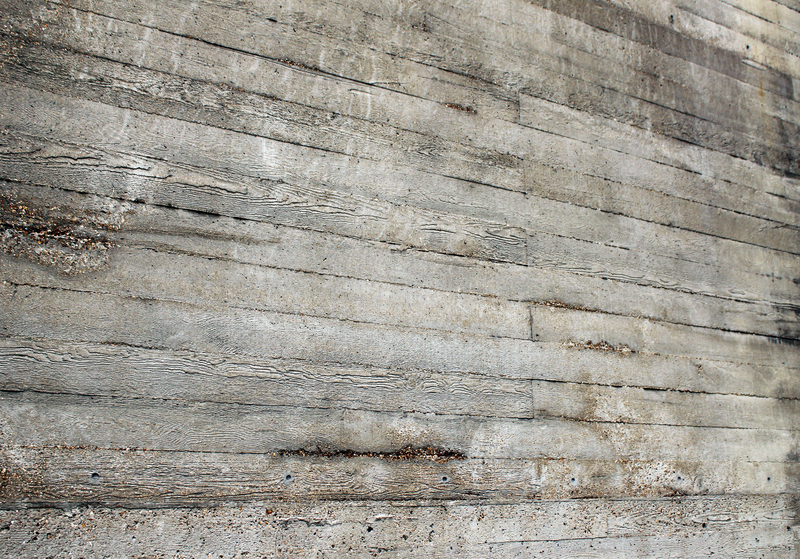 While the materials may be traditional, the structure is anything but. 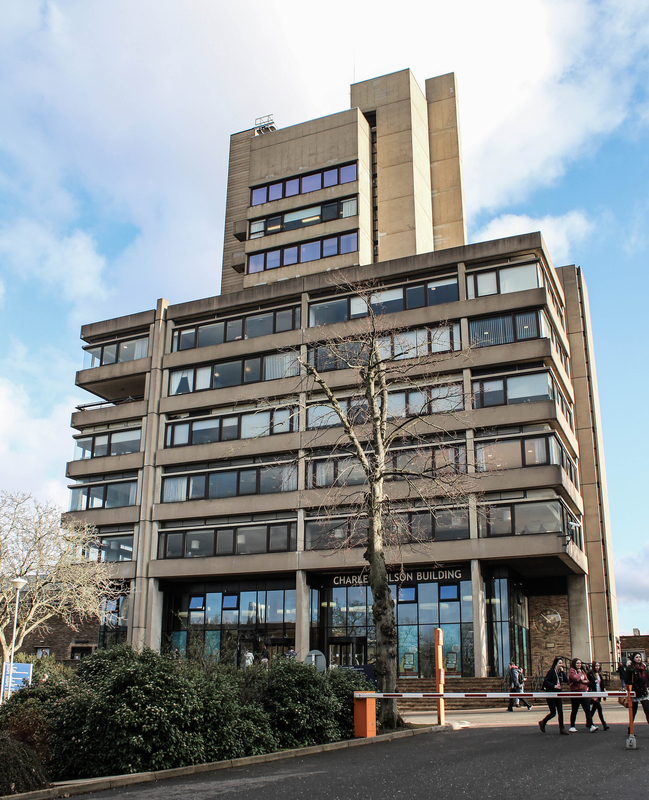 There are plenty of interesting features – two lecture theatres project outwards from the main body, a staircase spirals up inside a glass tube, and at the rear ribbon windows angle outwards from the top in a way similar to those of the nearby Attenborough Tower. 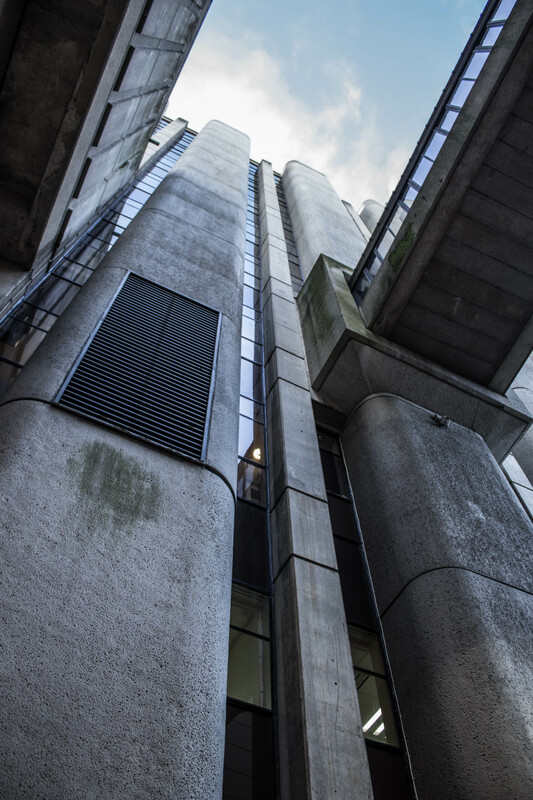 Rising above all this, the main tower is an expanse of steel and glass. 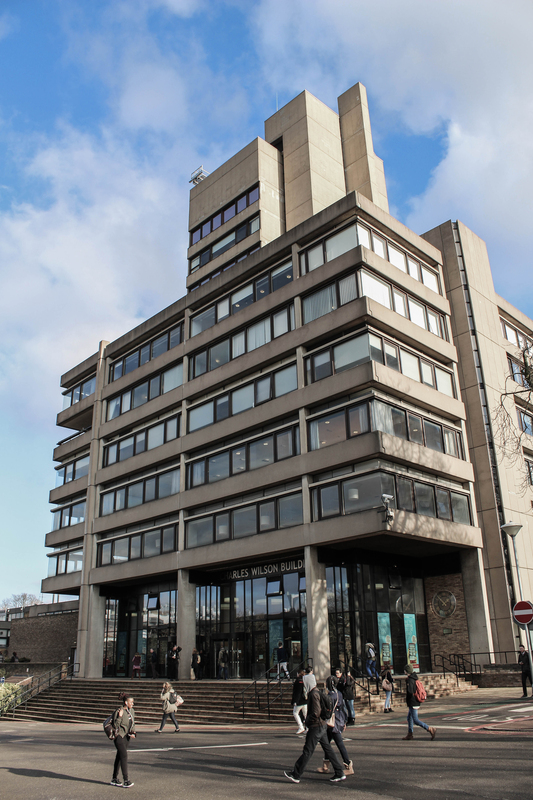 The building, which is still well used, was grade II* listed in 1993. 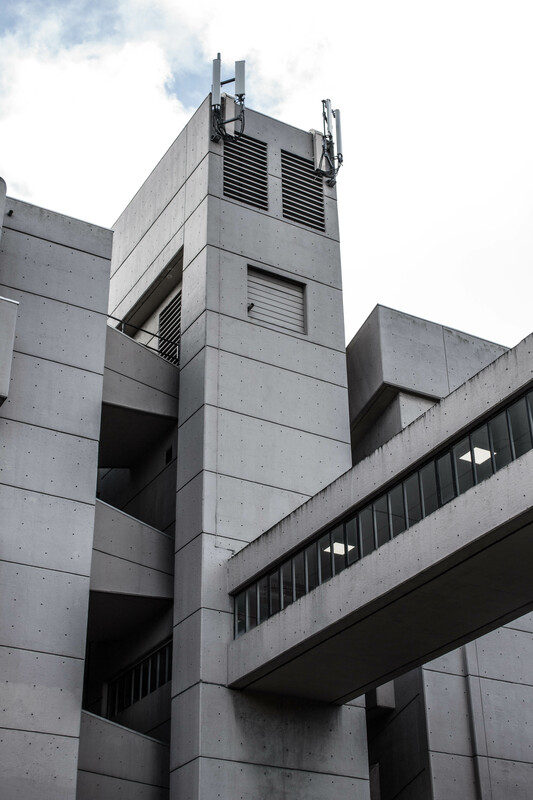 This entry was posted in Leicester and tagged Architecture, brutalism, brutalist, concrete, engineering, gowan, Leicester, stirling, University on February 7, 2015 by Andrew Garford Moore. 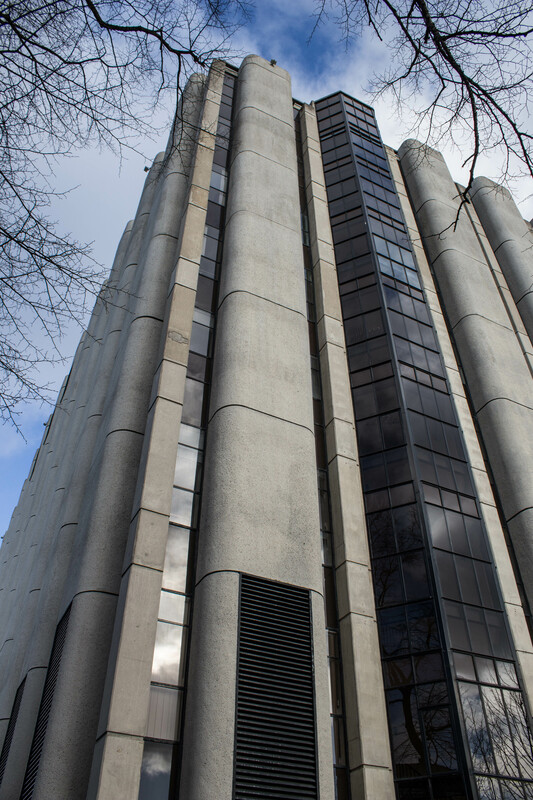 I couldn’t find any information on this building when I originally posted this. 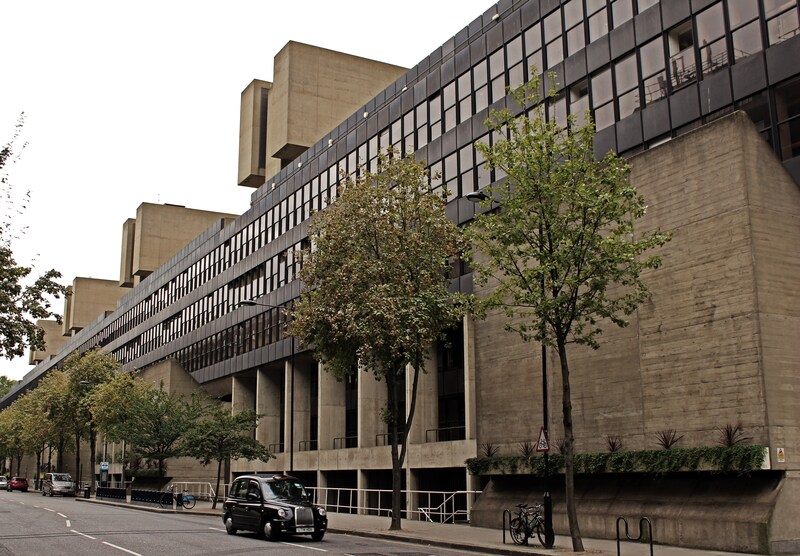 But I was contacted by an academic from the Geography department who gave me the dates of construction and the architect. 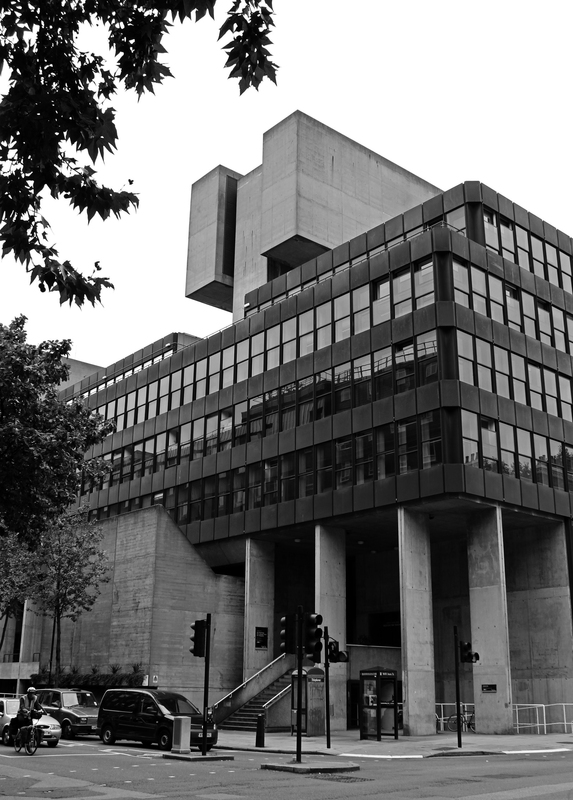 He also sent me some of the original plans and drawings for the building, along with some great photos taken shortly after completion. 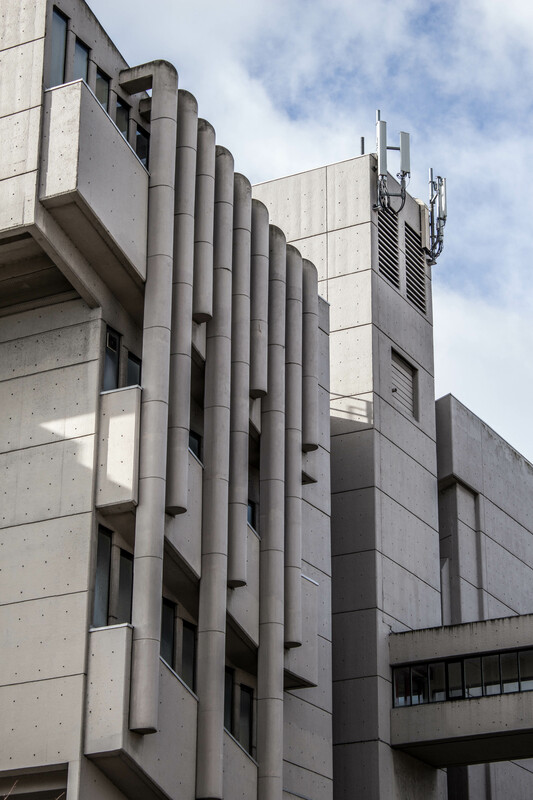 Apparently it is a “challenging” building to work in, but it can’t be denied that it has character. 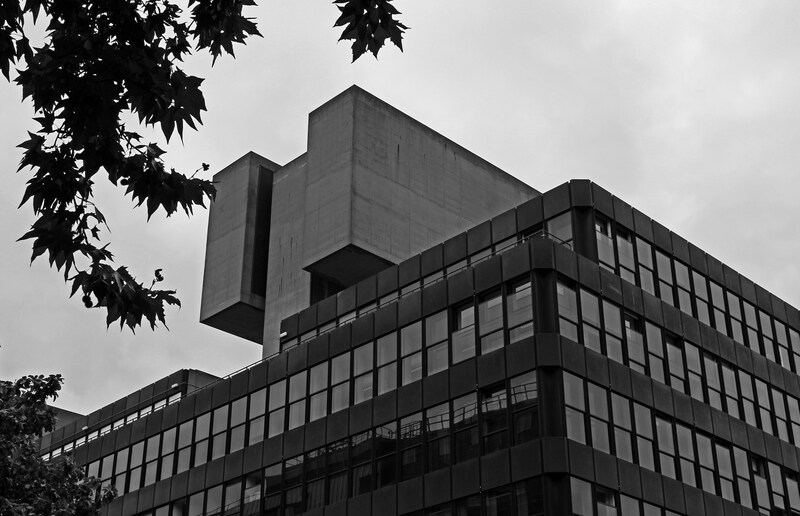 The building itself is a cluster of hexagonal structures of various heights attached to a rectangular block. 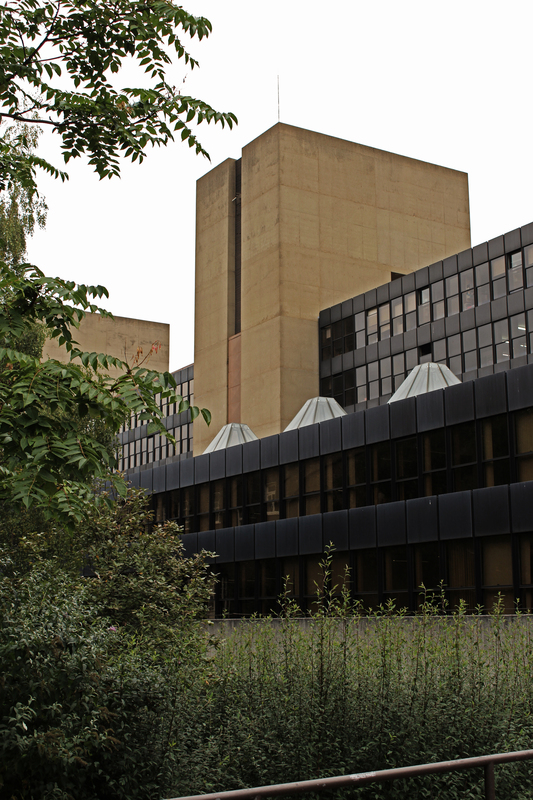 The concrete structure frames sections of brick in a style similar to the Park Hill estate flats. 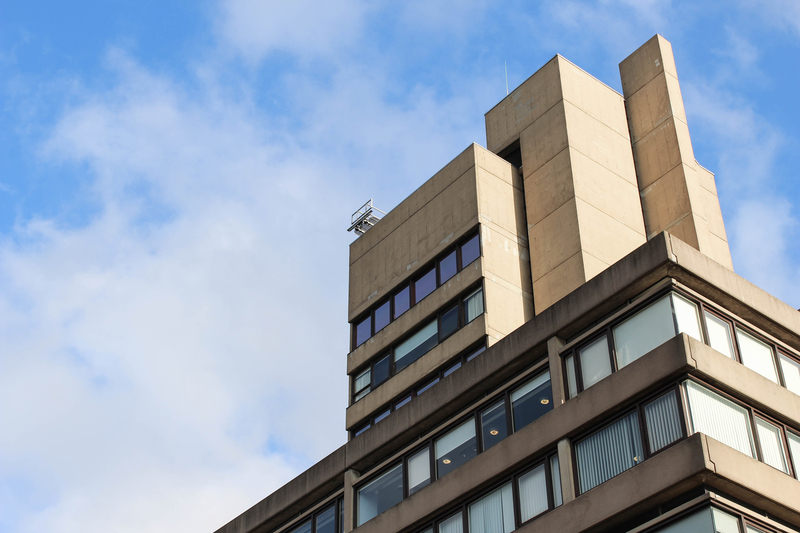 In addition to the use of hexagons, the building has some interesting little features that mark it out, such as the vertical windows which sandwich the concrete piers on the upper floors and the diagrid detailing on the portico ceiling. 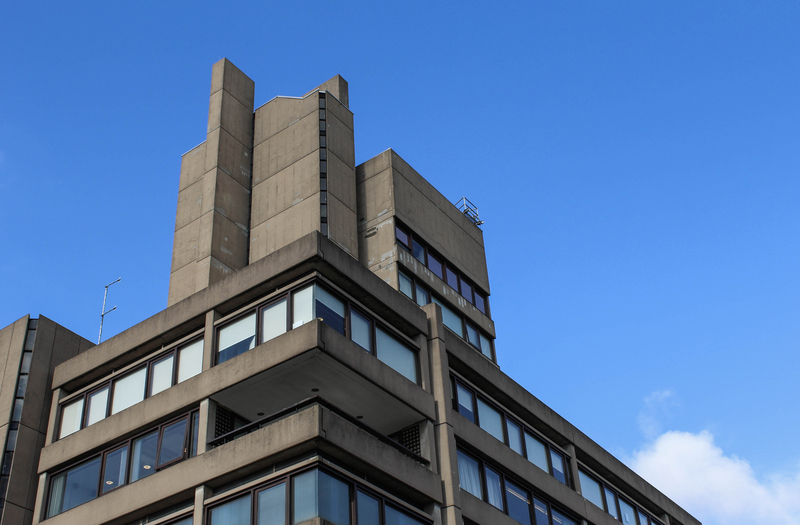 A small green separates this building from the Arts Tower and, as you can see from the first photo, when the sun is out young scholars recline and take in the views of the surrounding first class modernist architecture. 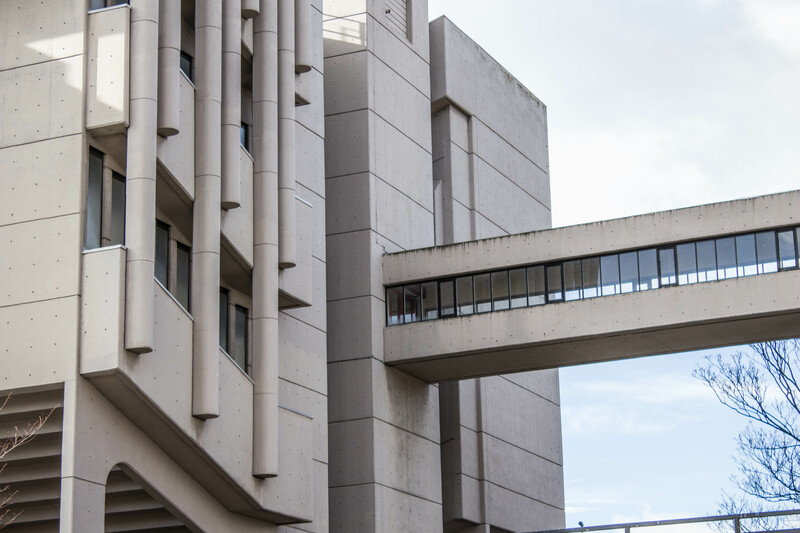 This entry was posted in Sheffield and tagged Architecture, brutalism, brutalist, concrete, department, geography, hexagon, hexagonal, Sheffield, University, urban planning, winter street on May 25, 2014 by Andrew Garford Moore.